Trev Rich ft. Recognize Ali, Rap P, Chox Mak & DJ TMB - "Survival"
It's survival time, It's not easy growing up in the hood. Especially when your young. 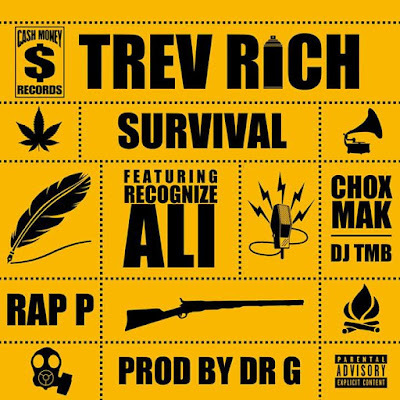 Trev Rich (Cash Money Records) Rec Ali & Rap P (QB) And Chox Mak all detail their survival stories from the block on a mad deep smooth beat produced by Dr G with cutz By DJ TMB.